Singles from Inquisition box added to store. Doom Trooper card data updated. 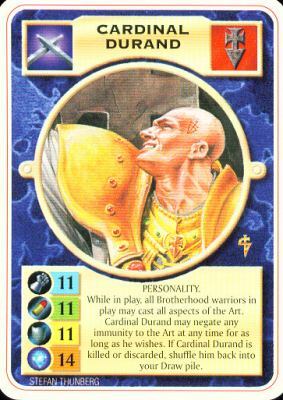 F/S/A/V values added to all warriors and all Warzone i Base Set card texts. Lot of cards from German Mortificator added to store and scanned. 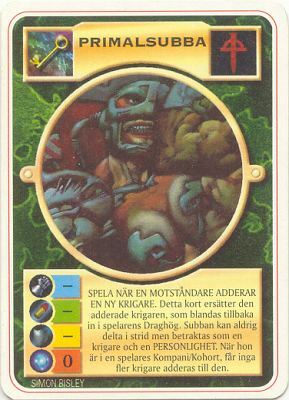 Swedish promo card list updated. Thanks goes to Pontus Markström for information and scans. Limited Edition base set scans completed. I finished adding Czech scans. Thanks to Pretorianstalker I recived more scans. Complete sets of English Golgotha, Apocalypse and Paradise Lost are available to view. New french and english scans added. English version of Inquisition is now complete. Scans from french Paradise Lost have been added. 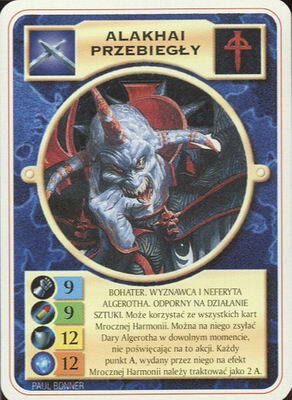 Cards from Doom Troopera have been added.